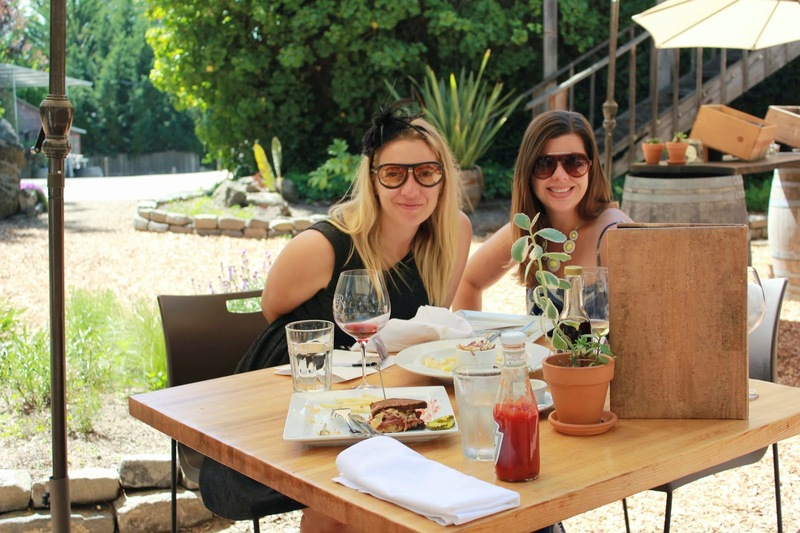 While in Carmel, Edible Skinny took advantage of the awesome Wine Tasting Passport of the Carmel Wine Walk by-the-Sea. 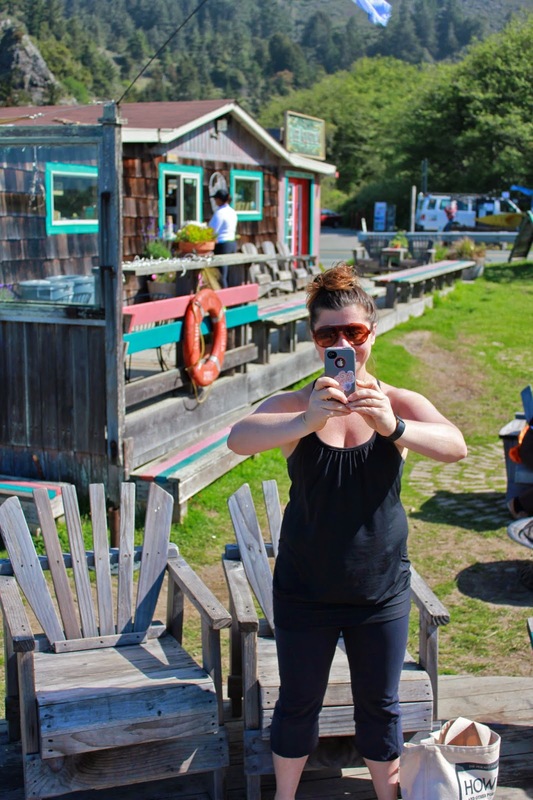 The Wine Walk by-the-Sea is a self-paced, self-guided stroll down Ocean Avenue to Carmel’s uber friendly tasting rooms (all of which are located within the 1 square mile village of Carmel-by-the-Sea). For the steal price of $50 at Hofsas House (or $65 at the Chamber of Commerce) you get 9 tickets for a 4 glass flight of wine from 12 different tasting room offerings. 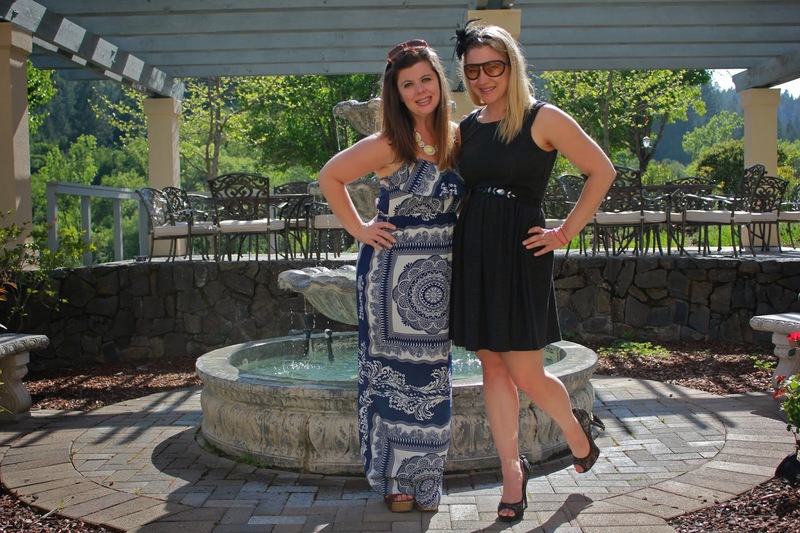 What's awesome is the tickets for the Wine Walk can be used by one individual or can be broken up among many imbibers. Also the Wine Walk Passport does not expire so you can use the tasting over multiple trips if necessary (but is that really necessary...). Plus corkage is waived for bottles purchased at a Carmel Wine Walk by-the-Sea tasting room at participating Carmel restaurants for one bottle per visit, per party. Family-run and the only sparkling in town this winery offers distinctive, fruit forward sparkling (made from Chardonnay and Pinot Noir only, not an ounce of Pinot Meunier in this bubbly) and still wines through the utilization of top-tier grapes from the Santa Lucia Highlands. Dawn’s Dream specializes in Pinot Noir (this year they received 5 Gold Medals at the Pinot Noir Summit in San Francisco ). They also produce Chardonnay, Rosé and other varietals sourced from some of the finest vineyards in Monterey County. Located inside the Winfield Art Gallery, Figge Cellars is a celebration of art and wine. Where the palate meets the palette. One of the oldest tasting rooms in Carmel (with some of Edible Skinny’s favorite wines! 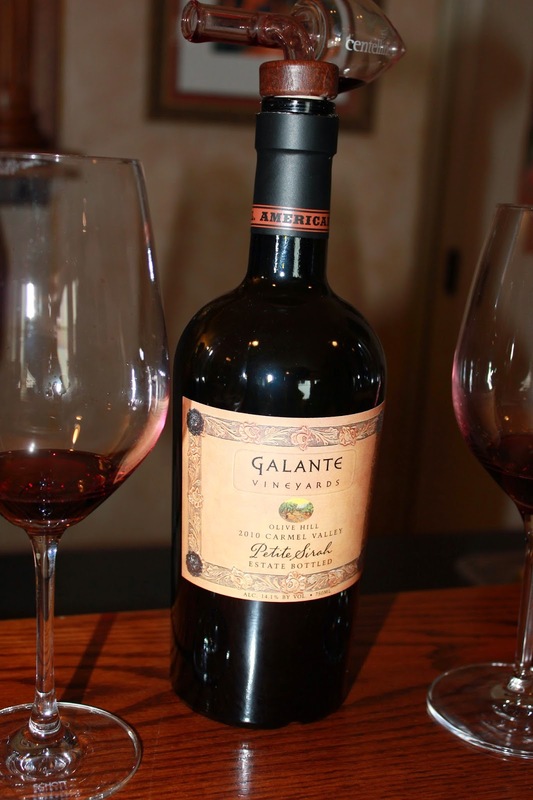 ), Galante produces 100% estate grown wines with their simple philosophy: grow the finest grapes and let the fruit express itself in the wine. Fun and friendly (Mr. Jack Galante personally escorted us to his wife's winery, Dawn's Dream, after spending an hour chatting at his). This label doesn’t have a wine club they have a wine gang, and their looking for outlaws to join up! 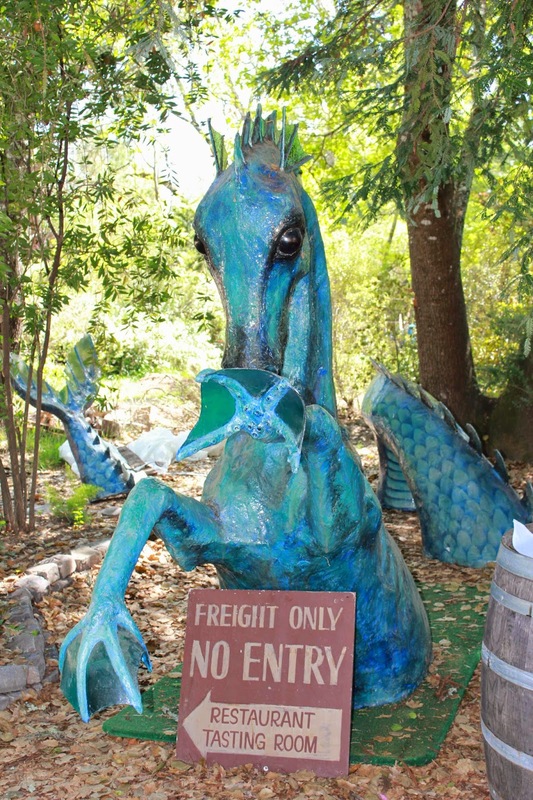 Other wineries included in the Wine Walk Passport: Blair Estate, Manzoni Cellars, Scheid Wines, Shale Canyon, Silvestri Vineyards, Vino Napoli, and Wrath Wines. 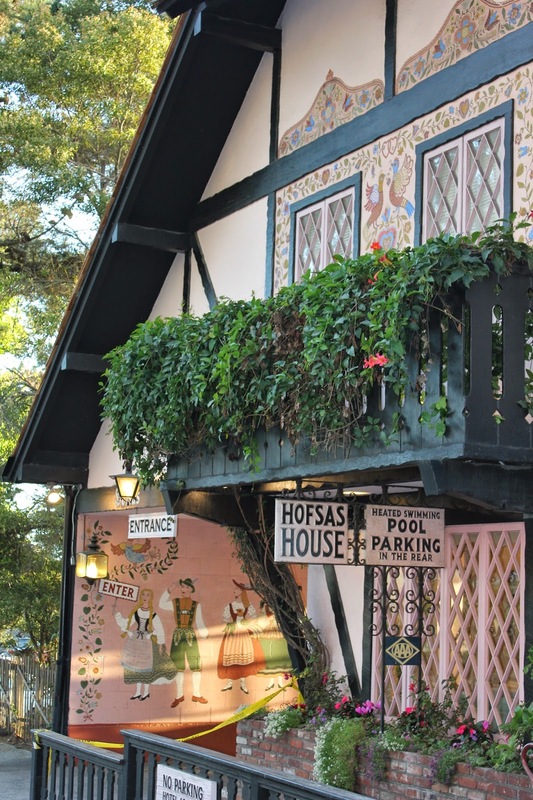 The next stop in our Vines to Vinos Tour with a stay at Hofsas House in Carmel-by-the-Sea (aka just Carmel). 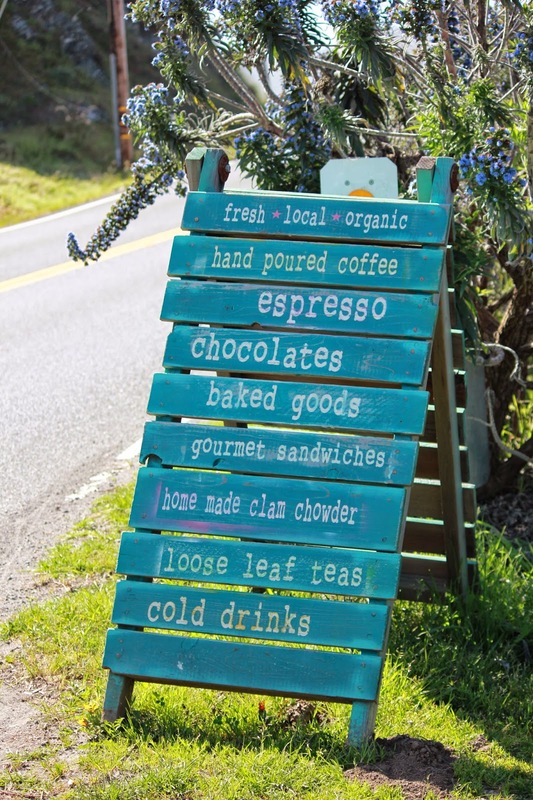 A two-hour drive from San Francisco, Carmel is known as a village in the forest by the sea. Carmel’s Bohemian founders fought to maintain the outdoor mystique and small-town appeal (1910 it reported that 60 percent of Carmel's houses were built by citizens who were "devoting their lives to work connected to the aesthetic arts") and their efforts are still evident today. No one is exactly sure when it began or how, but thanks to celebrities such as Doris Day and Betty White, pets get the spotlight in Carmel. All you have to do hear that the population of Carmel is cited as 4,037 people, and 847 dogs! Many restaurants, shops, art galleries, and inns are pet-friendly allowing man’s best friend to go everywhere you go. Carmel is all about the boutique experience; they’ve got 45 inns, but they’re all small. One such pink hotel is the Hofsas House, our home for the next two days of the Vines to Vinos Tour. 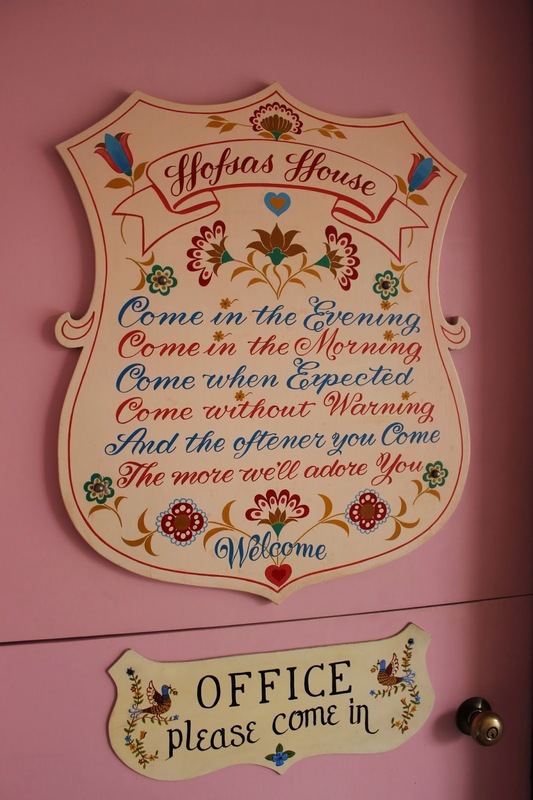 Hofsas House celebrates European elegance with the warmth of family hospitality. Not the easiest word to pronounce (the first part is like “Hos “ in hospitality, the “Sas” part is pronounced “Sis” (as in your best friend)), but for over 60 years, the Theis Family has been providing hospitality designed to suit everyone’s travel tastes. General Manager Carrie Thies noted, “Our inn has a very at home feel that emanates comfort, we consider it an extension of family hospitality.” There dedication to going the extra mile was displayed when I forget my favorite headband at the hotel. Upon calling over I discovered they categorized all lost items by date and later on that day it was already in the mail back to me! Donna Hofsas and her husband Fred, moved from Los Angeles to Carmel in the late 1940s. While he was busy as an accountant, she oversaw the cottages they had purchased in town, living in one and renting out three others, and so began Hofsas House. In 1957, they took the major step of building the main hotel, adding 25 rooms and a swimming pool, moving their business to the next level. After they divorced, she kept Hofsas House, and in the 1960s, she added the north wing and meeting room. The hotel bears many of Donna’s personal touches. She commissioned her friend, artist Maxine Albro, to paint the Bavarian-themed welcome mural, and three of Maxine’s paintings hang in the lobby, as well. Fred, who was also an artist and photographer, created the mosaic coat of arms, whose Latin words mean “Leisure with dignity.” In 2000, Donna’s granddaughter, Carrie Theis, with whom she had been very close, became General Manager. 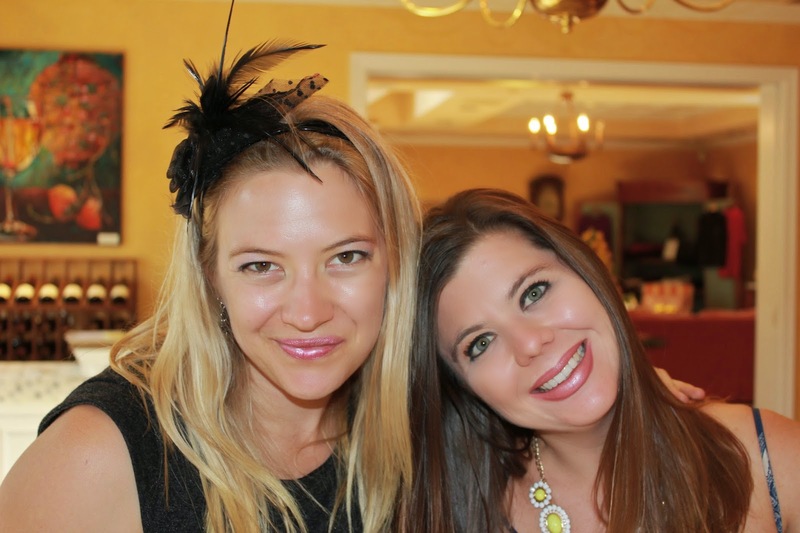 It was a full-circle journey for Carrie, who spent summers as a child helping her grandmother at Hofsas House, escorting guests to their rooms at the tender age of 8 and getting a seat behind the front desk when she was 12. Thus magic of Germany is still showcased nearly 60 years later in 38 one-of-a-kind, spacious European rooms, many with ocean views. Rooms have Dutch doors (of course they do! 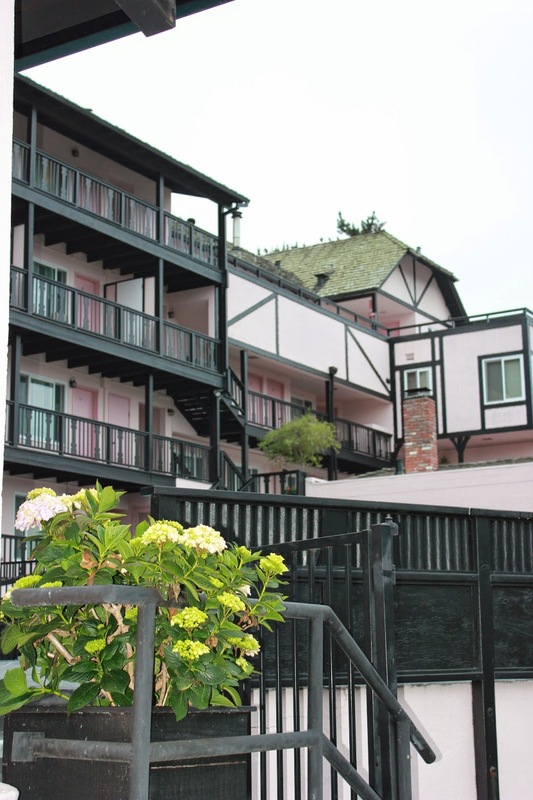 ), free WiFi and many of the rooms and suites have fireplaces, private balconies, wet bars or kitchens as well as patios for enjoying the beautiful ocean view. A heated pool, dry saunas, decks with views and complimentary off-street parking are also offered as well. 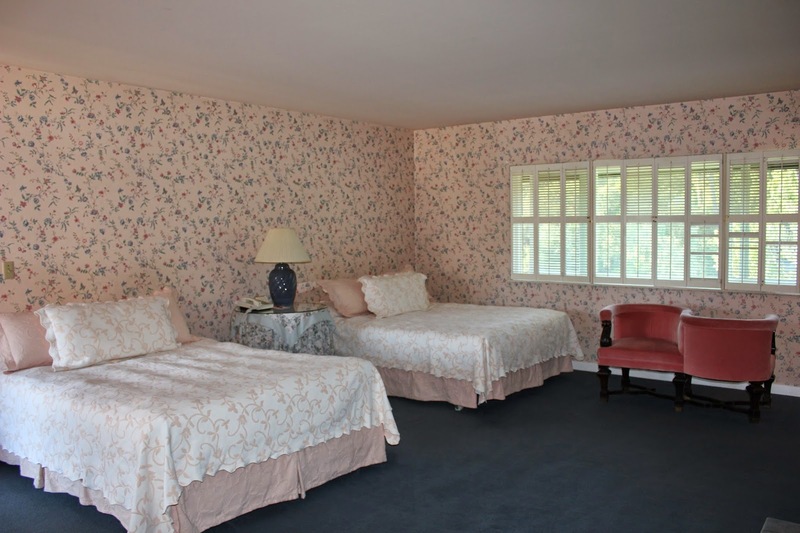 Each room at the Hofsas House is decorated differently, our room was unofficially known as the, “the girl room,” since it was all frilly and pink. Which doesn’t mean there isn’t warmth in Carmel. This village in the forest by the sea contains all the magic of a Grimm fairytale, and what better place to experience it than in the pink hued Bavarian castle of the Hofsas House. If you haven't had a chance to check out the Banned Grey Poupon Ad you should totally should! It's hysterical and came from the brilliant minds of my friends Jessica Sattelberger and Adam Grimes of the OBVS network! What do you Poupon on? 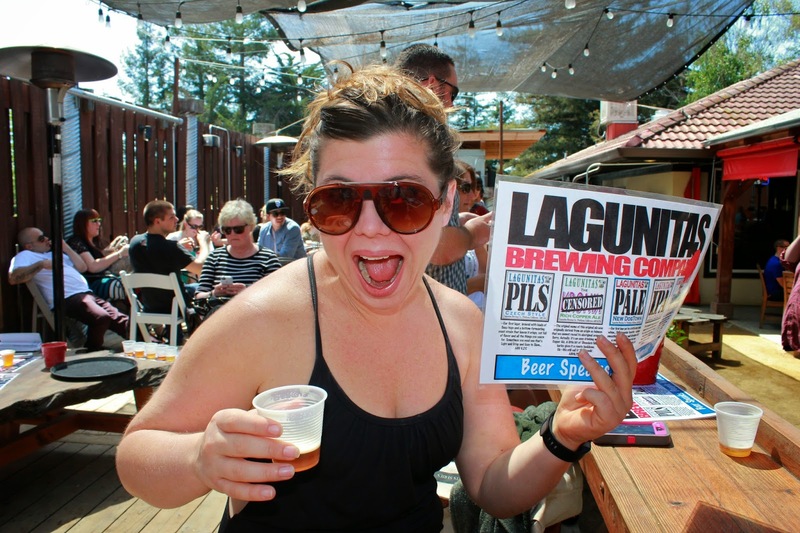 When Edible Skinny takes a break from wine they drink beer and we took a break from all those grapes to experience the world of the craft brewery at Lagunitas Brewing Company. The brewery (which you might be familiar with through the Beer Wars documentary) was started in 1993 in the form of a Christmas homebrew kit that Tony Magee received while living in Lagunitas, California. He brewed to district himself from the $30,000 he was in debt for and within a short time he had graduated to a 3 ½ barrel system. Magee started making beer and selling kegs to local bars and restaurants out of the back of his Ford Ranger pickup truck. The company moved up to a 15-barrel system and started bottling and distributing keys and bottles through the San Francisco Bay area in 1995. Wandering northbound, the brewery found its home in Petaluma, California, (home of the egg incubator and the world ugliest dog contest). Lagunitas is now distributed in 32 states and 5 countries. 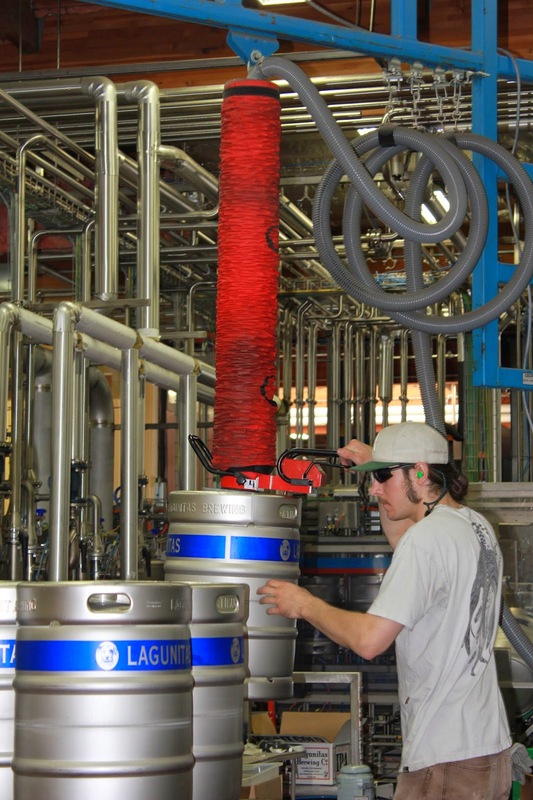 Since the mid-2000s, Lagunitas has been one of the fastest growing craft breweries in the United States, increasing from 27,000 barrels in 2004 to 700,000 barrels in 2013. 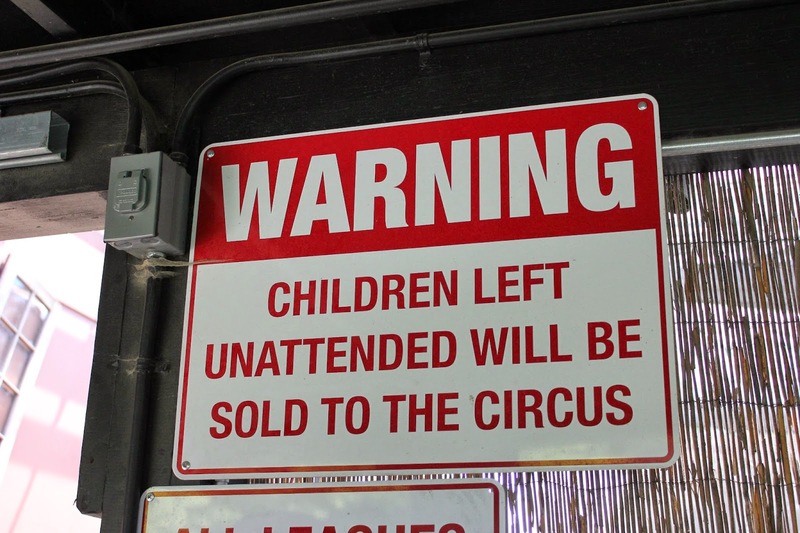 This brewery loves gettin’ on the wrong side of the law. In addition to the Undercover Investigation escapade, the brewery's released a beer called the Kronik (slapping with censored bar on the label to get it approved once the federal label-approving agency, the BATF realized what Kronik actually references. Hint: it’s Marijuana). Lagunitas slapped a “Censored” sticker on it as a joke and they accepted. Thus, from the smoky clouds of a 420 haze their Censored Beer was born. TonyMagee vowed Lagunitas would never go pubic, because he wanted to make craft beers and didn’t want to focus on the bottom line. The result is a following that would put Miley Cyrus fans to shame and a company that’s rapidly expanding. 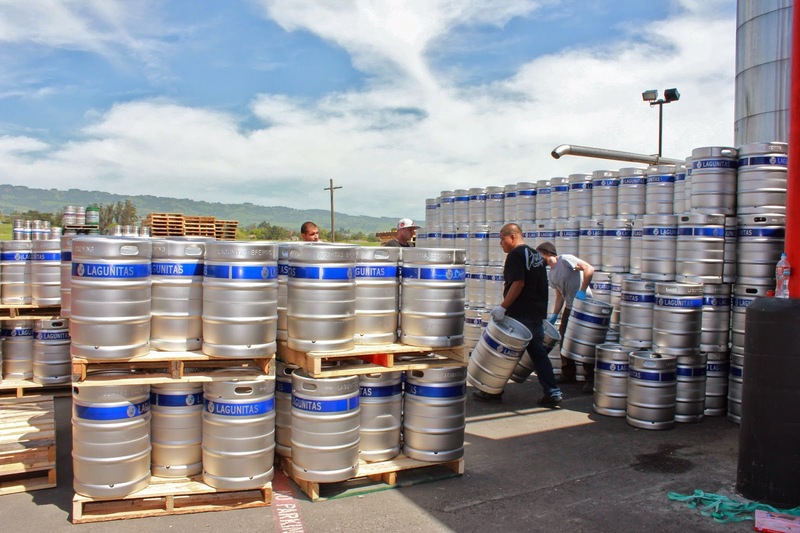 In May, Lagunitas had its official opening for their second plant in Chicago (Magee’s hometown), which will bring in a whopping 1.7 million barrels a year (on top of 700k barrels at the Petaluma). At 2.4 million barrels, that would put Lagunitas as the second-largest “craft” brewery behind The Boston Beer Company in terms of brewing capacity. Numbers that are serious (regardless of what you’ve been smoking). Café Aquatica is located in the tiniest town we encountered in our Vines to Vino Tour: Jenner. Jenner, California is where the Russian River hits the Pacific Ocean; it also has a population of 136 people. 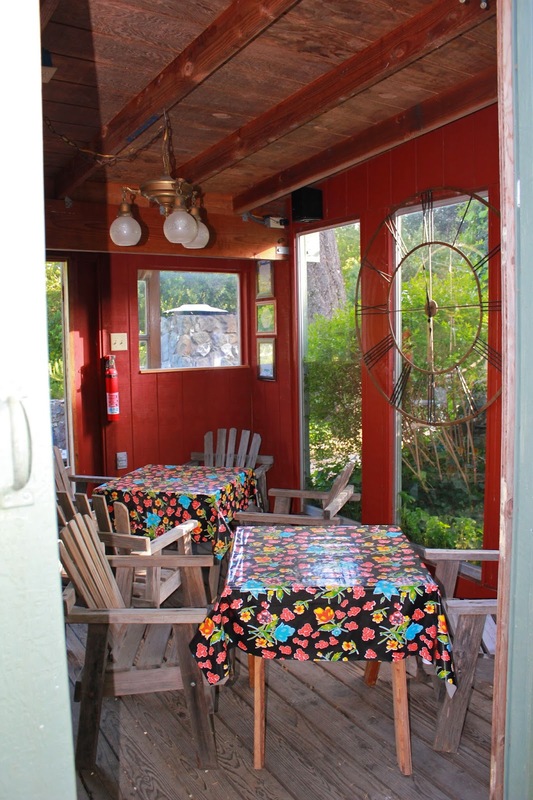 Jenner also is known to have one of the best coffee shops on the Sonoma Coast: Café Aquatica. 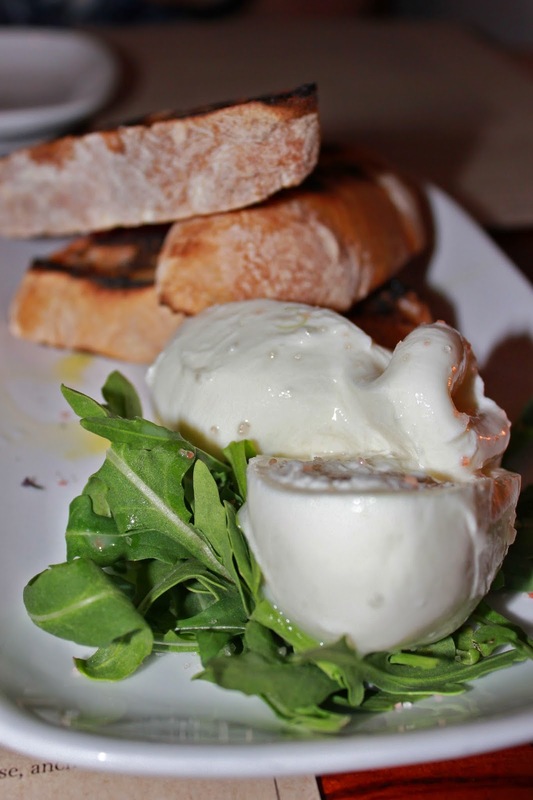 Located right on the Russian River, Café Aquatica is all about craft. They make everything from scratch using only the finest, Certified Organic and Non GMO ingredients. Their baked treats are prepared and baked fresh daily by Monika & Jessica, both are graduates of the C.I.A. (the Culinary Institute of America in New York). 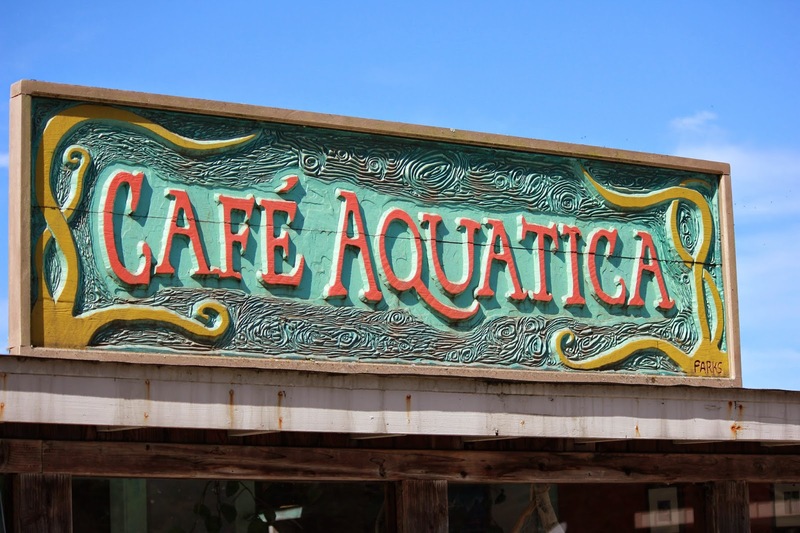 Café Aquatica uses Finca El Petén coffee (also known as Finca Java). 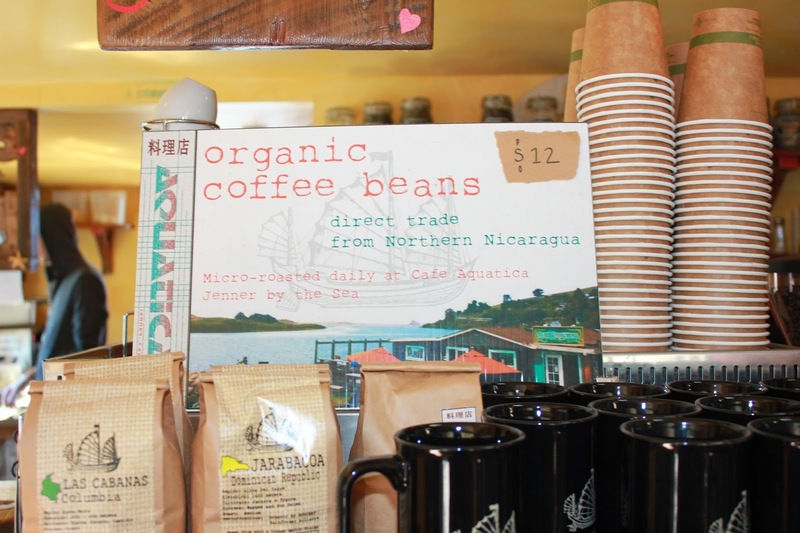 Their coffee beans come directly from their friends' 800 acre, Organic, fair-trade farm in Northern Nicaragua. Finca El Petén is located in Los Robles, a rural community of 5,000 people in northern Nicaragua. In 2007, the community began revitalizing this aging cattle farm, which sits roughly 1,000 meters above sea level, so that it can produce what is considered some of the best coffee in the world. Café Aquatica micro-roast every batch on site and are careful to retain the true flavor notes of the beans. Their coffee & espresso roasts are all light to medium (more caffeine that way). So grab a coffee, a Certified Organic and Non GMO pastry, and spend a few hours watching the river pass by. Who knows, Jenner’s population might make it to 137. I’ve always been a fan of the word boon. It’s a little funny and outdated (coming from the 12th century), but carries with it big meaning (a blessing or favor). And somehow the simple choice of picking it as your word versus something more popular seems to give the situation more weight (just ask the Sandman comics). Which is why it’s such a perfect name for a perfectly simple restaurant. Boon loves community; they support their local farms and businesses and use primarily organic ingredients (some from their Boon gardens both behind the restaurant and hotel). They also use hormone-free, antibiotic-free and sustainably-raised meats as much as possible based on availability and pricing. 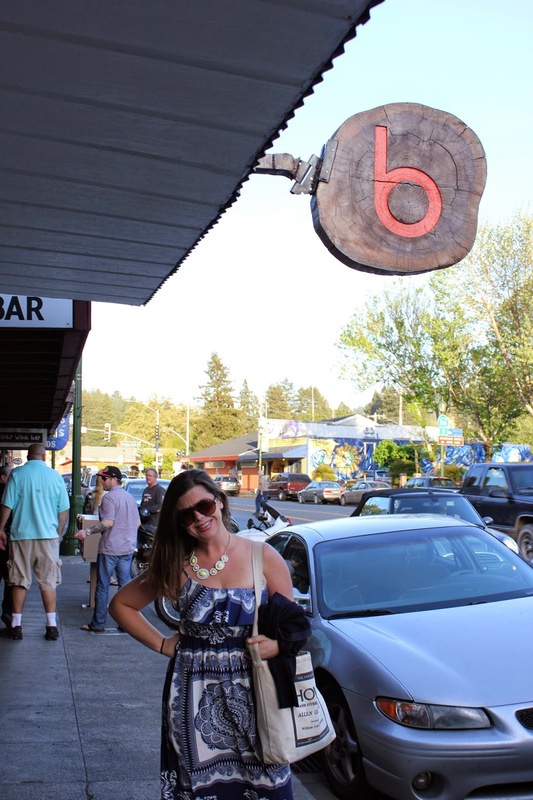 Boon is also committed to local drinking, serving only Russian River wines (made and brewed) and microbrew beers from no further than Mendocino County. To start off the night, Kelly chose to partake in their 2011Chardonnay, Medlock Ames ($12) a wine with bright floral aromatics, hints of slate, and a candied hazelnut finish. Our server Brian directed us to some greats of Boon’s menu. 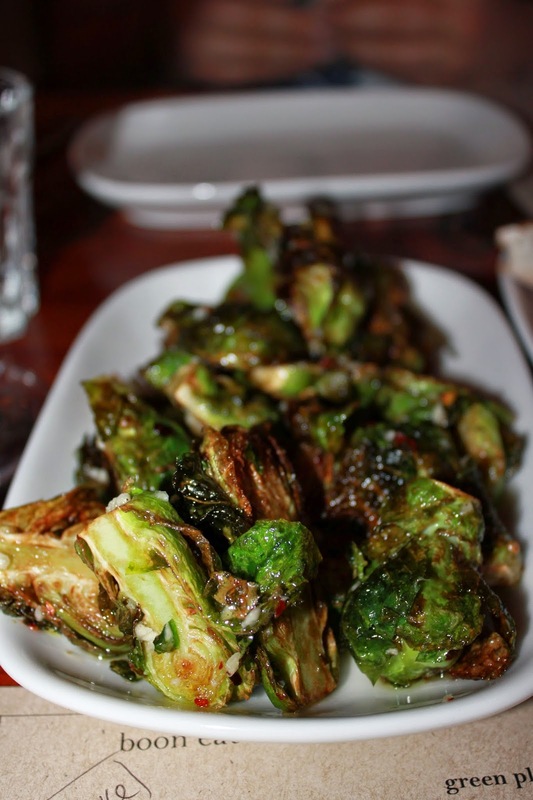 We started off with the Flash Fried Brussel Sprouts, Chili, Lemon, Garlic, and Olive Oil ($7). If candy was made out of brussel sprouts it would be this!!! Every flavor took a bow: no one ingredient overpowered, each one was equal and individual in your mouth. For my entrée I dined on Truffle Fries (I couldn’t get enough of them this trip) with Chimchurri instead of House-made Ketchup and Garlic Aioli ($8). 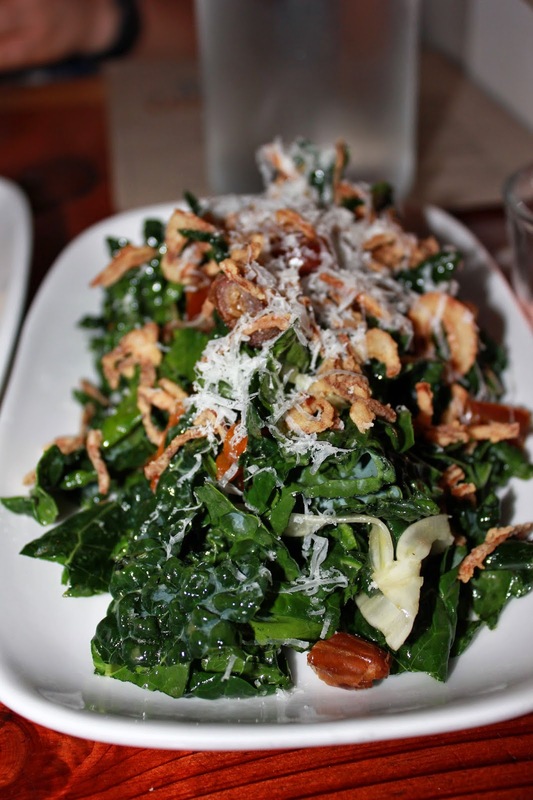 I balanced the decadence of the pommes with some healthiness with the Tuscan Kale Salad, Shaved Fennel, Medjool Dates, Crispy Shallots, Shave Parma, Kumquat Vineaigrette ($10). We finished the night with the Bread Pudding, Currants, Citrus Zest, Vanilla Crème Angalaise, Caramel ($8). Kelly enjoyed a French Press Pot of local roaster (surprise, surprise) Flying Goat Coffee out of Healdsburg. And so, Boon lived up to its name, for this dinner was a perfect (locally sourced) blessing. 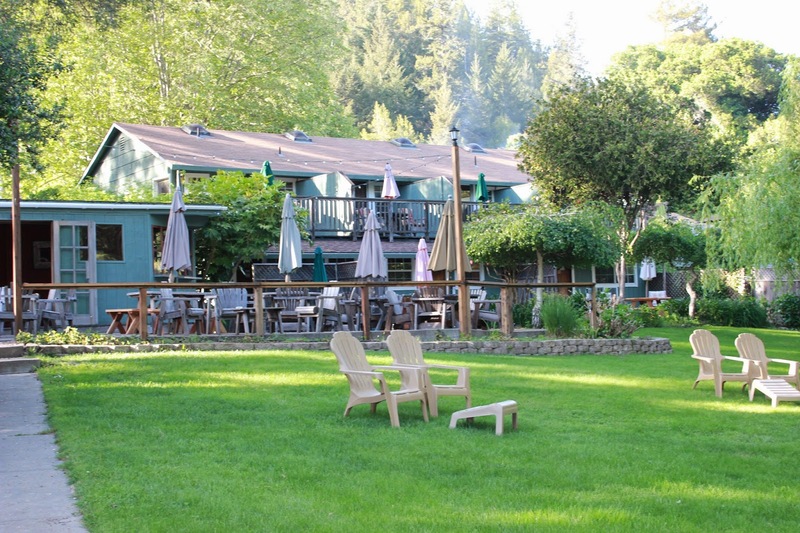 After our Russian River tour with Wine Cube Tours we decided to relax a little at our residence for the night: the Rio Villa Beach Resort, a Bed and Breakfast Inn located on a quiet bend of the famed banks of the Russian River. Located in the tiny hamlet of Monte Rio (Population: 1,152, they just kept getting smaller and smaller…), which as its sign proclaims is a “Vacation Wonderland!” Just moments away from the Sonoma Coast and over a hundred wineries, this quaint resort offers a variety of accommodations for couples, families and individuals traveling for relaxation or business. 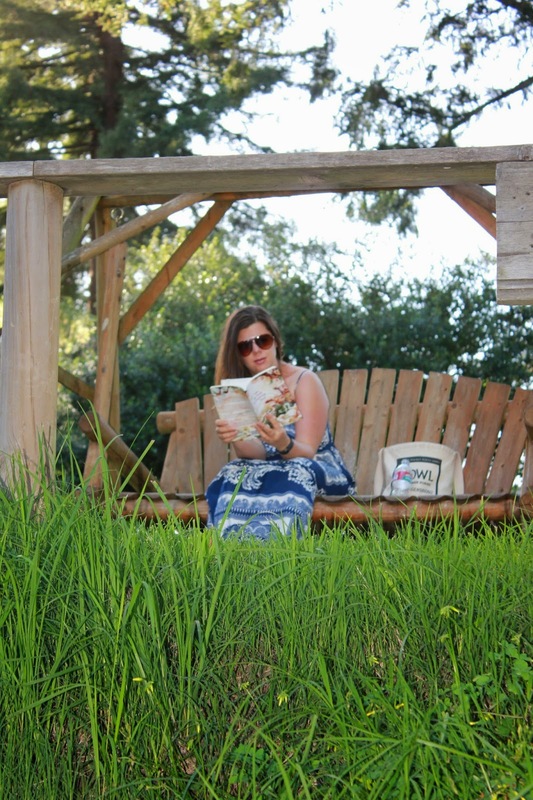 Adjectives such as charming and unpretentious lazily swirled through the air as we lounged in the Adirondack Chairs in the post wine tasting afternoon. 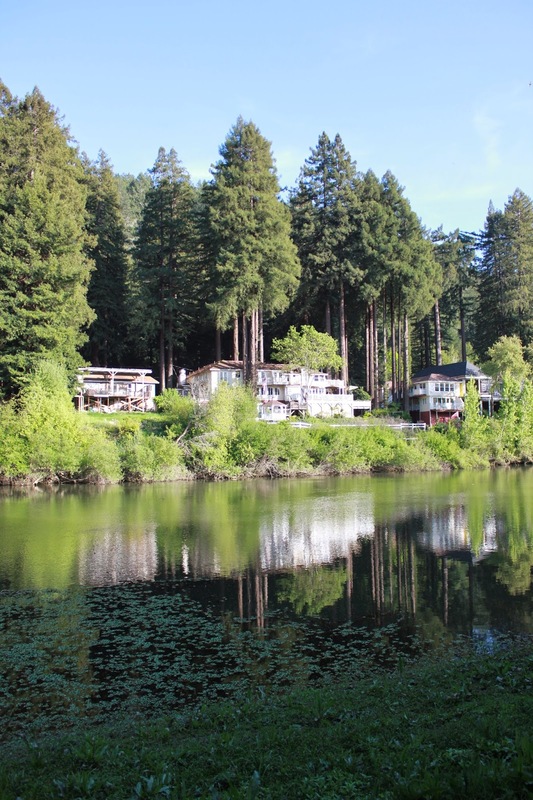 Surrounded by majestic redwoods, the Rio Villa has a private beach that is totally bathed in sunshine. The grounds are meticulously manicured and aglow with the color of flowers and the aroma of herbs. Just next door and around the river bend is the Monte Rio public beach where canoes and kayaks may be rented and a concession stand is open during the season. They have several rooms styles at Rio Villa to choose from their Kitchen Balcony Suite, River View Balcony, Two Bedroom Balcony Suite, and Deluxe River View Balcony enjoy views of the stunning Russian River while for a more economical stay without a river view you can try their One Bedroom Kitchen Suite and One & Two Bedroom Villa Suites. 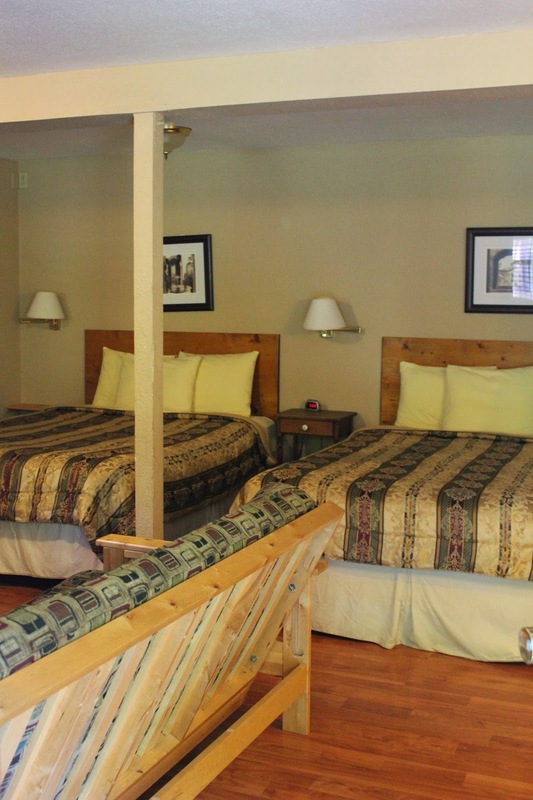 Rates range from $99 to $309 and may require a 2-3 night minimum stay. They do offer AAA, Senior, and Military discounts. Kelly and I spent the night in their Family Garden Studio, their largest room that can accommodate up to six people. 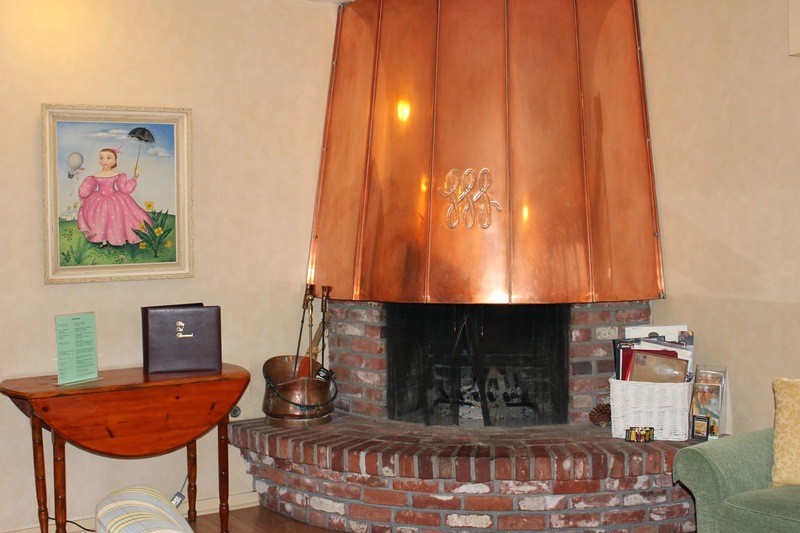 This family-friendly room with fireplace and full kitchen opens onto a large sunny patio right on the river. It has 2 queen-sized beds, a futon sofa/bed, and a big bathroom with a spa tub. This room is pet friendly with a $25/night pet fee. Between May and October the Rio Villa hosts a lot (a lot) of weddings. Their property can accommodate groups of up to 100 people in numerous outdoor settings. Due to the small size of their property, all large events must commit to renting all of their 11 rooms for a minimum of 2 or 3 nights. The next morning we woke up and grabbed some coffee from the provided continental breakfast (which includes coffee cakes, breads, muffins, fresh fruit, juice and freshly brewed coffee) and took in the tranquility of the Russian River. 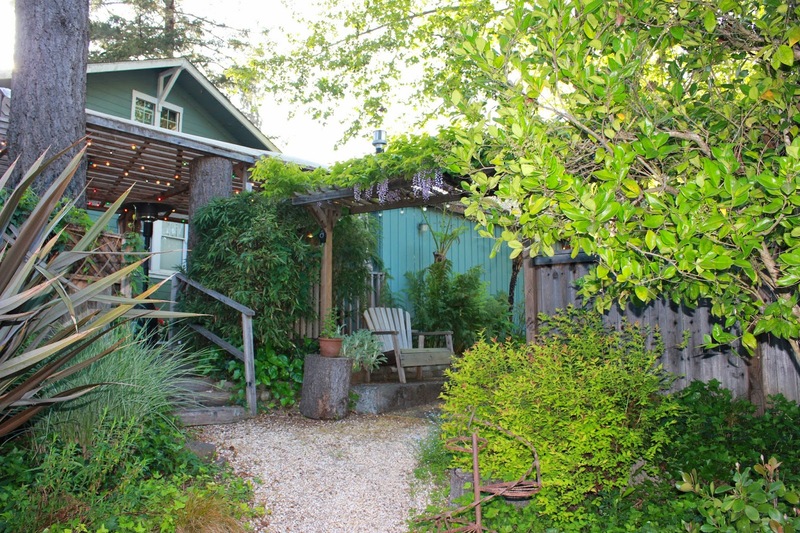 So whether you are planning a splendid summer vacation for the entire family, a romantic getaway to Sonoma’s premier wine country, or a quiet retreat in the winter rain you are sure to enjoy the beauty and charm this spot on the Russian River has to offer. Our final stop on our amazing Russian River day with Raymond Rolander of Wine Cube Tours was Hartford Family Winery! 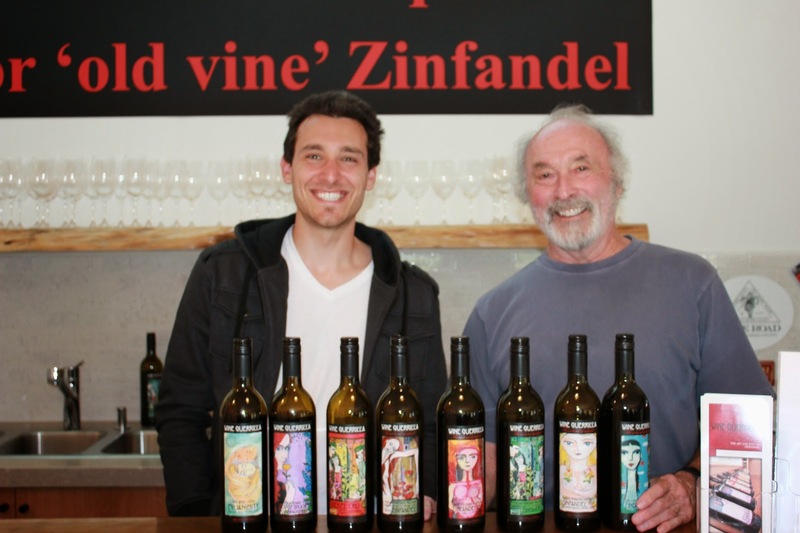 Specializing in Single-Vineyard Pinot Noir, Chardonnay, and Old Vine Zinfandel, Hartford Family Winery is a family–owned winery also located in Forestville within (surprise, surprise) the Russian River AVA. Hartford Family Winery has received many accolades throughout the years including being named one of the Top Wineries of 2010 by Wine & Spirits magazine. 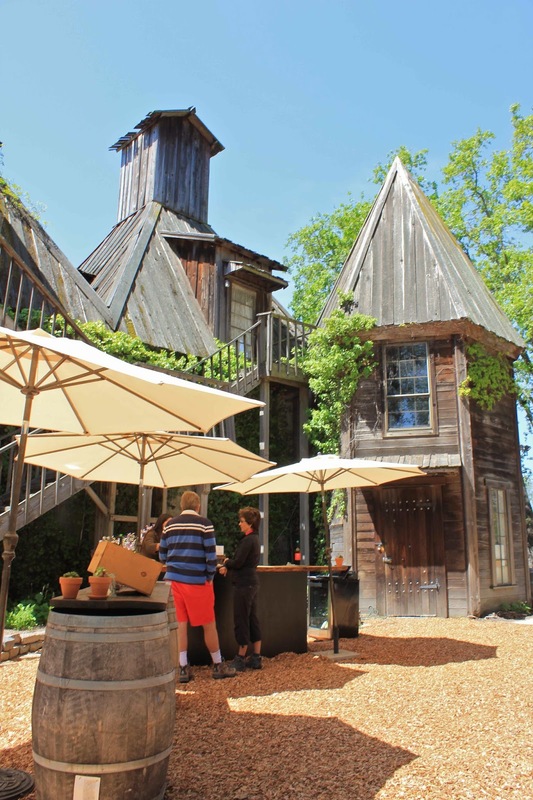 Located 15 miles from the Pacific Coast, Hartford Family Winery was founded in 1994 by Don and Jennifer Hartford's appreciation for the wines, the people, and the unique vineyards near their Russian River Valley home. Don Hartford grew up on a small strawberry farm in western Massachusetts, and later attended the University of Massachusetts at Amherst. 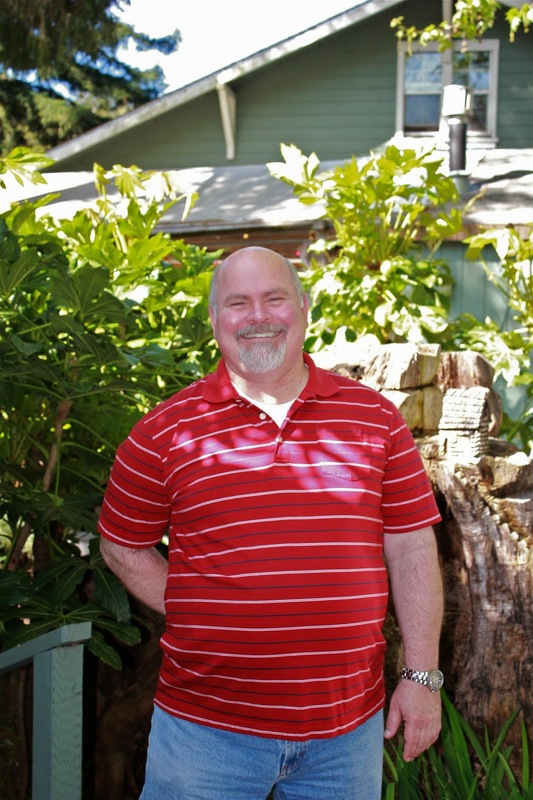 Don Hartford met his wife, Jennifer Jackson-Hartford in 1979, while at Santa Clara University in Northern California while pursuing a law degree (shortly thereafter, Jennifer's father, Jess, started a modest 16,000 case winery called Kendall-Jackson). 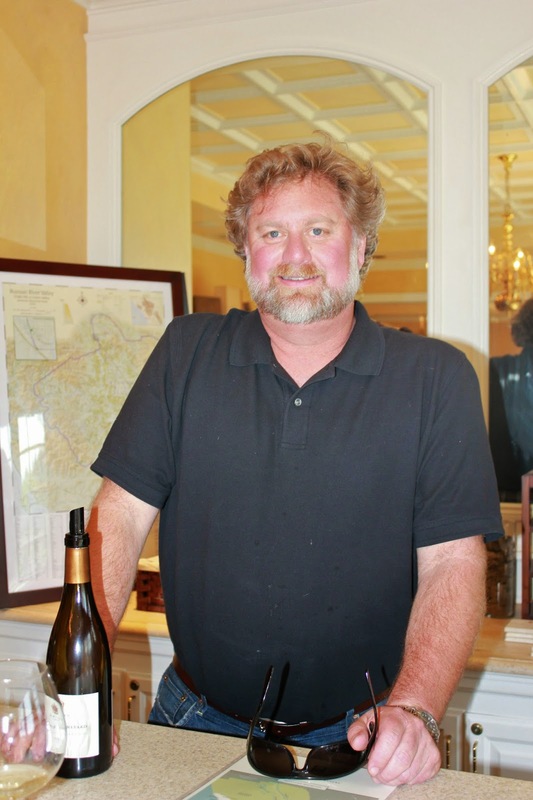 The Hartford’s belief, as stewarded by winemaker Jeff Stewart, is making delicious wines of high personality is directly related to the difficult locations of their vineyard sources, the limited production of their bottlings, and the varietals they use. "Character through adversity" is an expression that Don and Jenny believe applies to people and grapevines and surviving adversity builds character, and personality, in both. Several of their established vineyards are not irrigated (they feel over-watering of vines produces more crop but dilutes flavors). Also, most of their vineyard’s vines are tightly space (as tight spacing encourages competition among vines, promotes smaller cluster and berry size, and accentuates the intensity of their wines). The result of these small and low-yielding vineyards that deliver meager amounts is expressive and personality-rich wine. Their single-vineyard Hartford Court Pinot Noirs and Chardonnays total as few as 93 cases up to about 800 cases. The Hartford’s love Pinot Noir and in many years make about ten of them with fruit from the Russian River Valley, Sonoma Coast, Green Valley, Carneros, Anderson Valley, and Marin appellations. Hartford Family Winery believes that Pinot Noir makes “the most seductive red wine, notable for its supple, silky texture.” In their opinion, Pinot Noir is one of the best grapes for expressing vineyard site characteristics in a transparent manner. 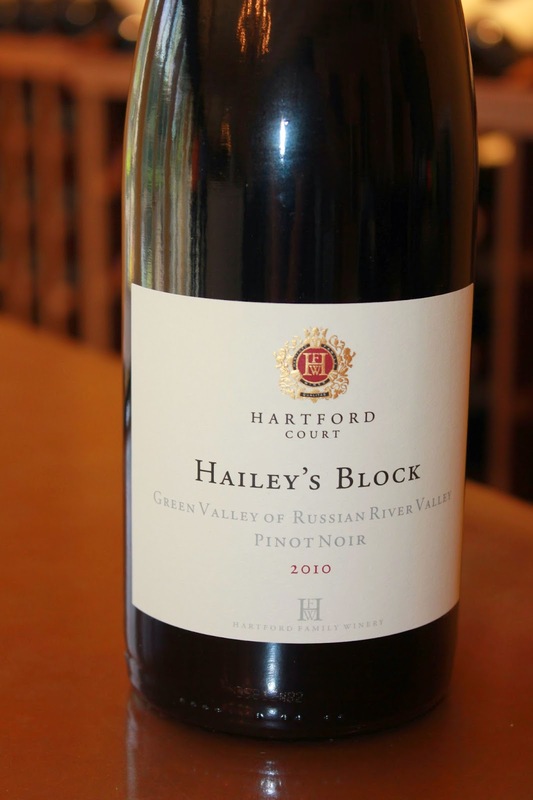 And Kelly and I are in agreeance as both our favorite Hartford Family Wines were their onion like layered Pinot Noirs: Hailey’s Block (named after Don and Jennifer Hartford’s daughter) and Jennifer’s Block Green Valley of Russian River Valley Pinot Noir 2010. 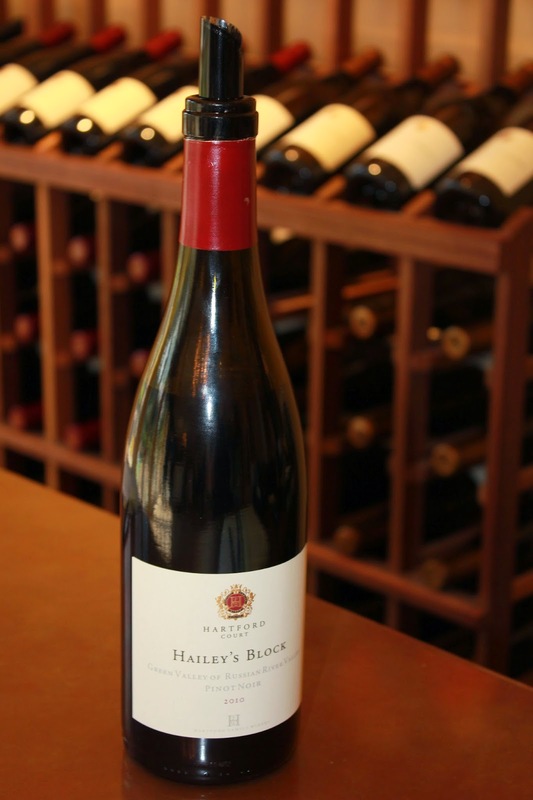 2010 Hartfort Court Hailey's Block Pinot Noir ($65) is bright ruby red in color with flavors of raspberry, cherry, and baking spice that bloom into a bouquet as the wine breaths. The finish on this Pinot Noir is straight down the middle of the ballpark: the perfect balance of spice and structure. 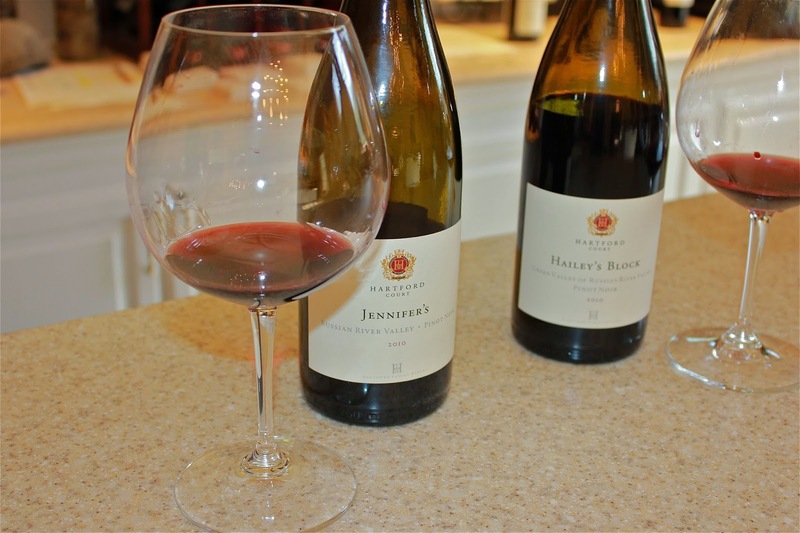 2010 Hartford Court Jennifer's Pinot Noir ($70, but unfortunately it’s completely Sold Out) received 93 points from International Wine Cellar. With bright hues and a nose of black raspberry, rose oil, allspice, and soda pop its definitely a wine you won’t forget. The palate displays flavors of cherries and berries without having either of those fruits scream in your face. It finishes with an energy that both zips and zaps. So on their classic outdoor patio with a welcoming fountain, Hartford Family Wines was the perfect place to finish our tour of the Russian River Valley; surrounded on all sides by hills and dales all covered with grapes just itching to evolve into a spectrum of wines. The recently opened tasting room of Zinfandel based Wine Guerilla has the air of a contemporary art gallery (which is fitting since that was the space’s previous job). With flashes of color and clean lines this is vino with an edge. 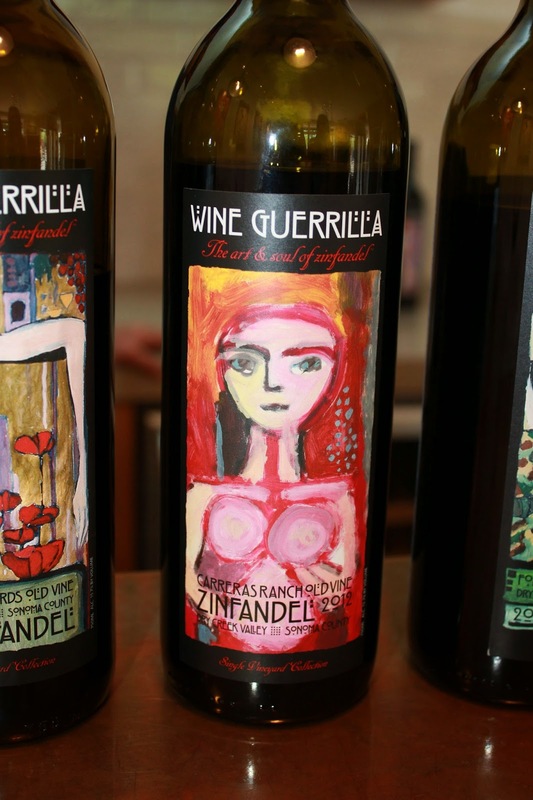 Located in the teeny tiny town of Forrestville (population: 3,293) in the heart of the Russian River Valley, the Wine Guerilla is a hybrid of art and taste. Raising his glass in defiance of corporate viticulture and bourgeois winemaking, the Wine Guerilla (nom du guerre of Mister Bruce Patch) is the defender of the rich tradition of California’s most iconic grape: the old vine Zinfandel. This local gem is the perfect hybrid of subtle craft and wanting to be seen. There’s multiple tasting bars inside along with a patio out back for al fresco imbibing. Contrasting stark white walls, the space is adorned with posters of past Wine Guerilla labels, all original works of art by Topanga Canyon resident Sean Colgin. The world to the art of Zinfandel has definitely been more than windy for Mister Bruce Patch. After spending 30 years producing and promoting music, working with such artists as The Supremes, Gene Pitney, Bill Medley, George Jones, Smokey Robinson, Ike & Tina Turner, The Four Tops, and The Temptations, he felt it was time to leave the music business to the younger generations. He and his longtime partner Andrea Cleall (who’s also the mother of label creator Sean Colgin) moved north and Bruce looked around for a new career. What met his eye was mile after mile of vineyards. As he became acclimated to this new landscape he began visiting tasting rooms and barns, chatting and picking the brains of local growers and vintners. He started developing a refined wine palate. It occurred to him one day that many of these small producers had no representation outside of their neighborhoods. He felt he could sell their wines all over the country so he created a brokerage. 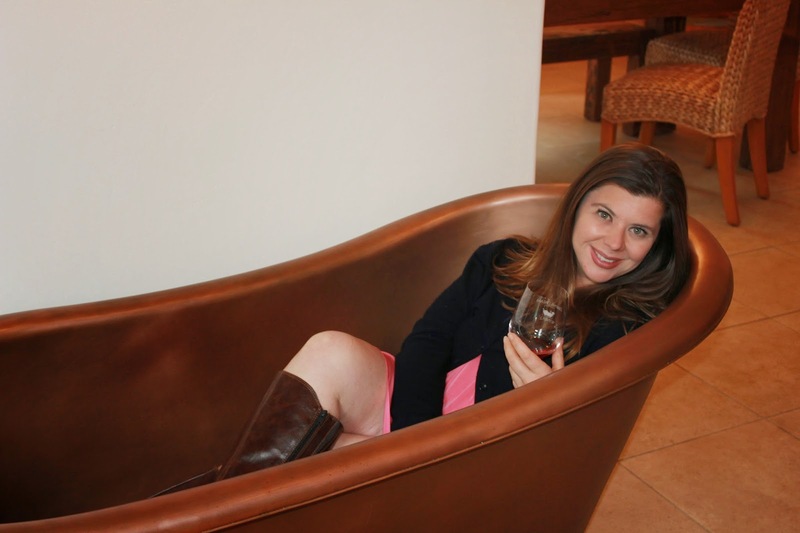 After a brainstorming session in front of the fire on a rainy evening he and a few family members, one of whom had been reading ‘Guerrilla Marketing,” came up with the name Wine Guerrilla. 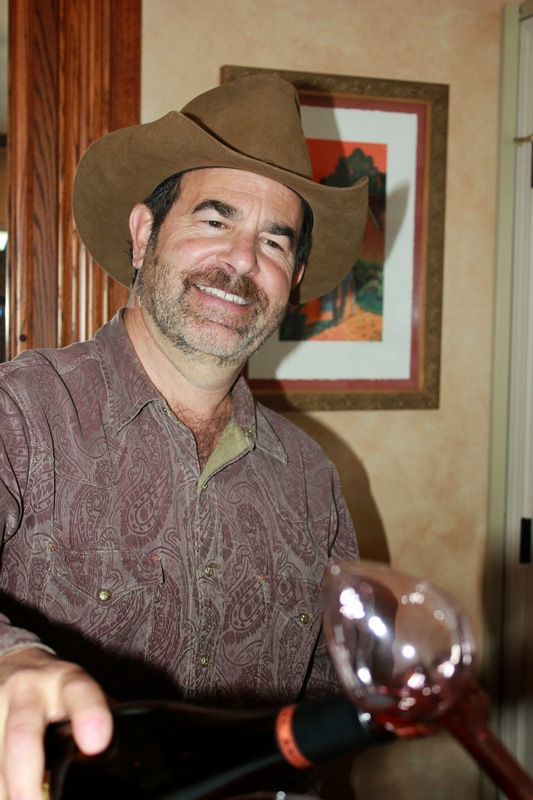 The brokerage eventually led to a position as national sales manager for Deerfield Ranch Winery and eventually with Deerfield’s blessing, to making his own wine. It seemed only natural to name it Wine Guerrilla. For the past decade Bruce has brought his passion for discovering just the right notes to the legendary vineyards of beautiful Sonoma County, making beautiful music for the palate. 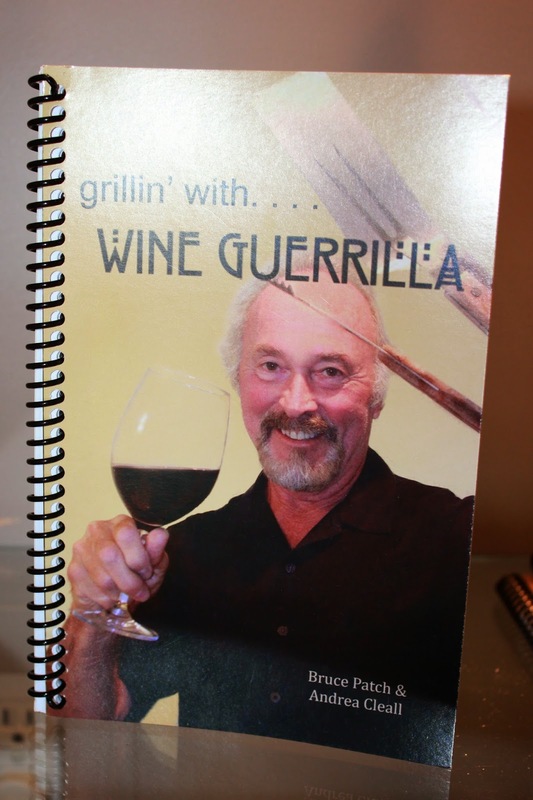 And speaking of palates, Bruce also the author of the “perfect cookbook,” ‘Grillin’ with the Wine Guerilla’ which has recipes borrowed from family and friends as well as from the rich and famous. There’s a myriad of Zinfandel choices at the Wine Guerrilla from a myriad of Sonoma AVA’s. My favorite was the 2012 Carrera's Ranch 'Old Vine' DryCreek Valley ($40). With a nose of boysenberry and black cherry; its opulently rich without being overtly jammy. The palate has flavors of blueberry, blackberry and boysenberry with notes of raspberry and spice in a marathon finish. This is what single-vineyard Sonoma wines are all about! Another standout was the WG’s 2012 CloptonVineyard 'old vine' Alicante Bouchet ($50). Alicante Bouchet (a varietal that neither of us at ES had heard of), is a teinturier (a grape with red flesh whereas the majority of wine grapes have a lighter flesh inside of them). Traditionally teinturier are used as a blending varietal to “redden up” wines, but the Wine Guerrilla tossed this concept aside and ended up 3 barrels of 100% Alicante Bouchet. One barrel went to their meritage Rebel Cru, while the other 2 barrels created 48 cases of Alicante Bouchet. All ripened and rich, it's really tasty with a great mouth feel for a newly released wine. 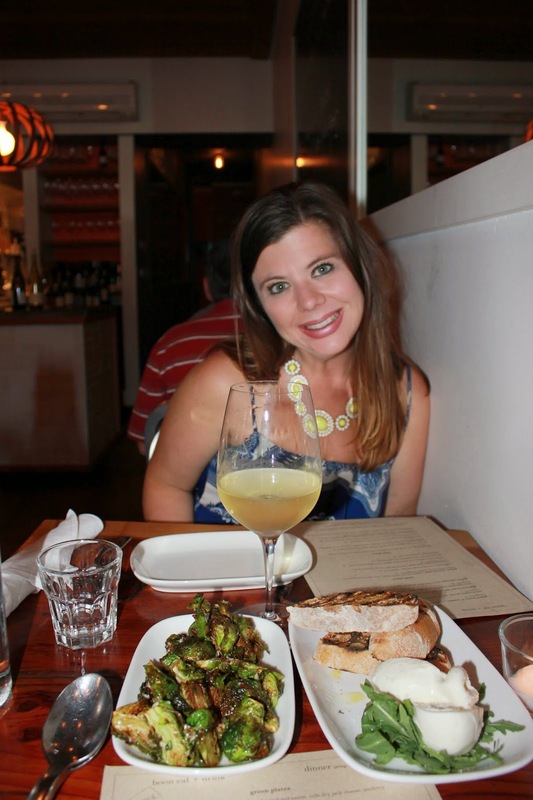 Russian River Vineyards, Corks Restaurant, and the Best Goat Cheese in the World! The Thomas Gas in Action at Corks @ Russian River Vineyards! Sorry for the delay in our next post, but Kelly and I were furiously working on an The Americans script for the Warner Bros. Television Writers’ Workshop that was submitted on Saturday!!! So now we can return you to our previously scheduled program… The Vines and Vinos Tour!!! 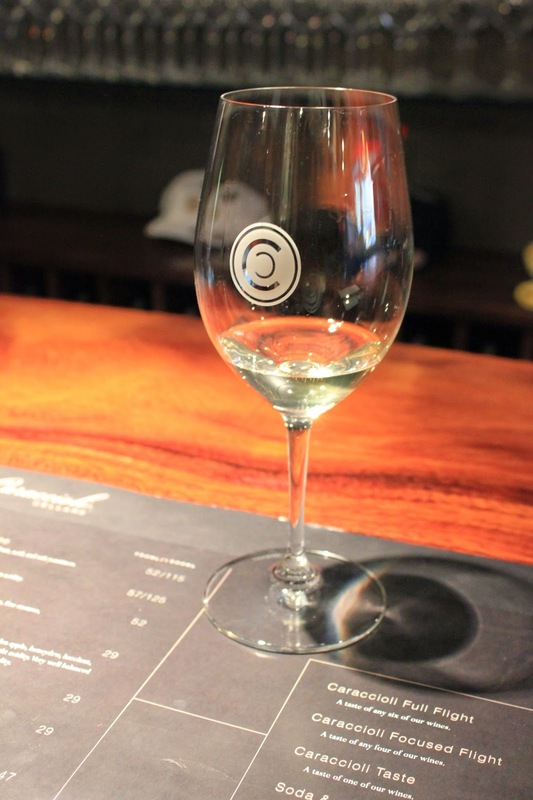 After sipping some bubbly over at Iron Horse Vineyards, we sally forthed to Corks Restaurant at Russian RiverVineyards for lunch with Mr. Raymond Rolander of Wine Cube Tours. 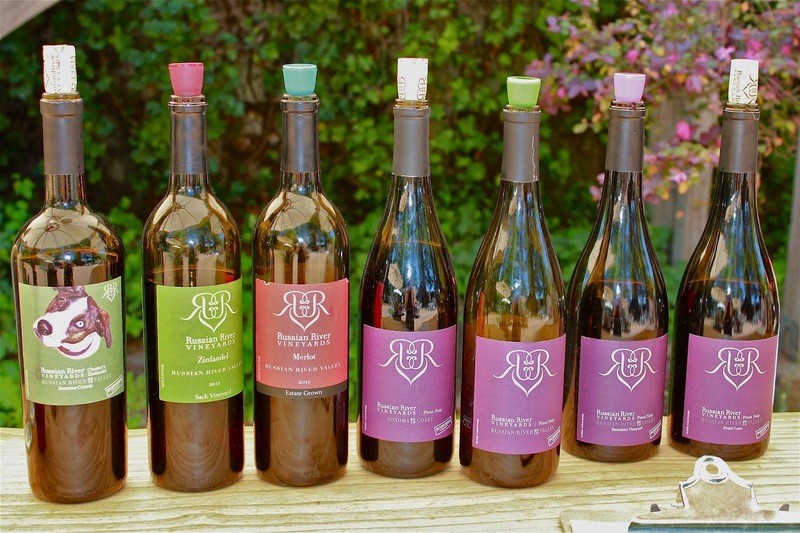 From its original planting in 1963, Russian River Vineyards has established itself as one of the premier organic (!!!) and sustainably farmed grape-growing properties in California. Many generations previously, in the ancient time of the Native American Pomo, the vineyard was a tribal village. And prior to the grapes, the land was a Sonoma hay field. The vineyards on the property, which include some of the very first Merlot vines ever planted in Sonoma County, were originally established in 1963, a time when most of the agriculture in the area was devoted to apples and prunes, surrounded by forests of Redwood trees. Even the name Russian River Vineyards came long before the Russian River Valley was officially declared an appellation in 1983. Corks Restaurant at Russian River Vineyards is the only winery-based restaurant in the Russian River Valley. 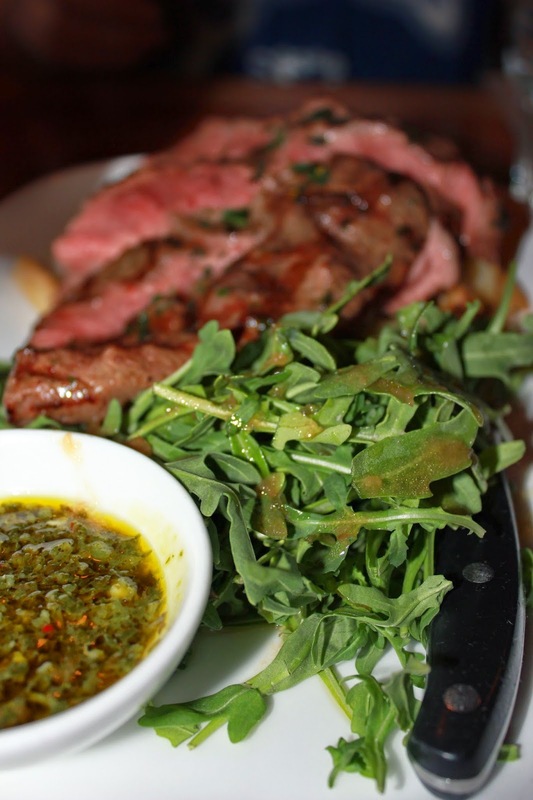 Its menu features the seasonal best from local growers and emphasizes organic meats and sustainable agriculture. Like all good winery adventures, Corks likes to paint a picture. The patio was very romantic, with white light strings, distressed wood, brick flooring, and a rusting iron art pieces scattered throughout the gardens. RRV has brand ambassadors, two rescue dogs on the property that roam about saying hi to diners and sippers alike. A large 18th century Russian Hop Hose with 800 bats living in it (since they are an organic vineyard, the bats are used in place of insecticides and rodent poison along with the guano being a great fertilizer) gives the outdoor tasting area the slightest hints of gothic Brontë novel. Initially we were planning on just getting lunch, but James, the Director of Sales at Russian River Vineyards was amazing enough to bring us over samples, which were perfect for the sunny al fresco lunch we had. Wine tasting is a fun experience as long as the person who pours it is fun, knowledge, and (most importantly) doesn’t have an attitude and that James to a “T”! James had us start with RRV’s `12 Sonoma CoastChardonnay ($35). A (French) Oaked Sonoma Coast Chardonnay (somewhat of a rarity in the Russian River Valley), this wines delicately balances crisp tropical notes with soft vanilla. 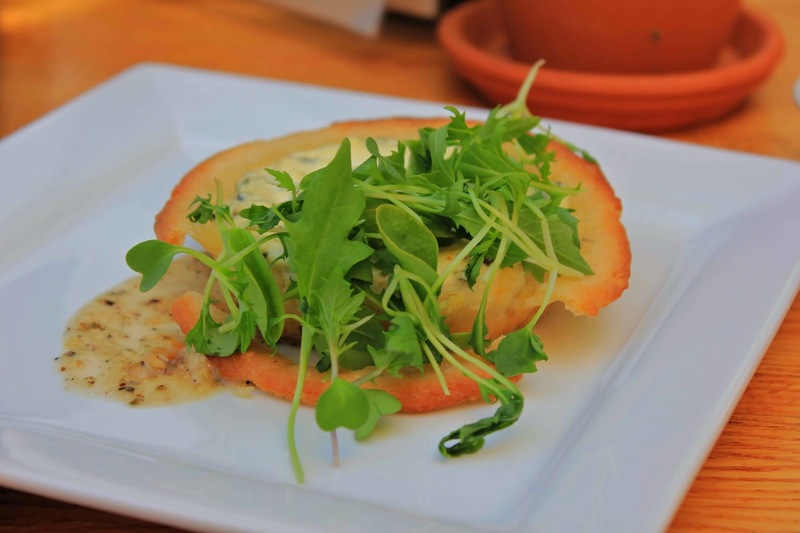 It was a perfect compliment to our first starters at Corks. This was mainly due to the Auh-Mazing goat cheese that was used in this and others Corks’ dishes. The cheese darling Redwood Hill Farm is an award-winning, Grade A goat dairy farm and creamery located in Sonoma County. Committed to making the best tasting and least processed artisan goat cheese, yogurt and kefir, their family-owned and operated company uses solar power to sustainably produce all its goat products. Redwood Hill Farm proudly became the nation’s first Certified Humane Goat Dairy in 2005. 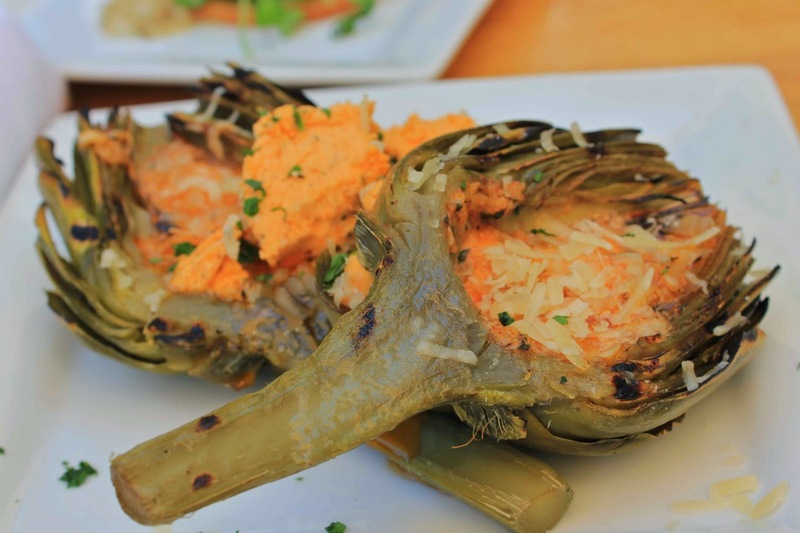 Our other appetizer was the Grilled Castroville Artichoke with Smokey Garlic Butter, Vella Dry Jack Cheese and Lemon ($10) was absolutely smashing!!! The garlic butter was out of this world. Our next wine sampling by James was RVV’s `12 SingleVineyard Pinot Noir - Fratti Lane Vineyard. RVV’s Fratti was a Silver Medal winner at North of the Gate Wine Competition (a competition that focuses on Northern California wines at the Sonoma-Marin Fair). This wine has an excellent concentration, delicate smoothness and mouth feel, balanced with rich dark berry, currant, and spice. This Pinot did not disappoint and had a not so wild and crazy price point of $55. This was followed by their ‘12 Benedetti PinotNoir ($55); another Single Vineyard Pinot Noir that was a Gold Medal winner at the North of the Gate Wine Competition. These grapes hail from the Benedetti Vineyards in the beautiful Russian River Valley. This wine is full of lush black cherry and warm vanilla spice with caramel notes and hints of smoke. 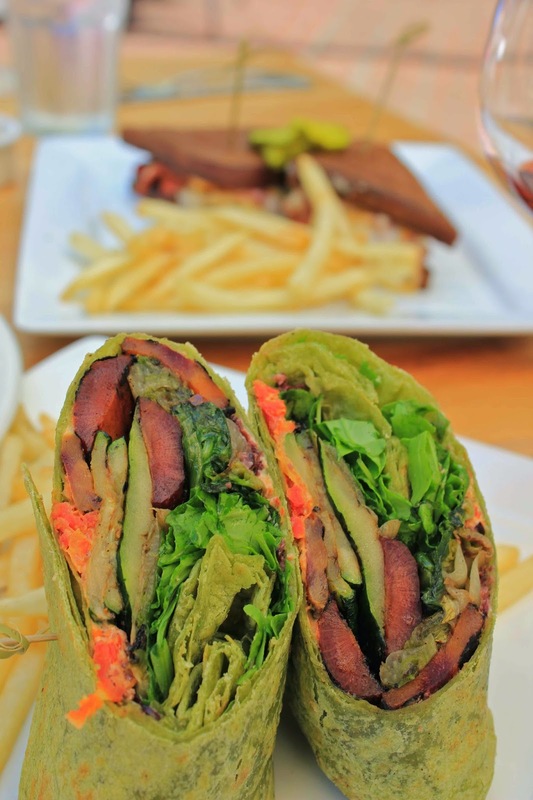 Onto the main course, I dinned on the Grilled Vegetable Wrap ($13.50). Composed of Olive Tapenade, Sundried Tomato, Redwood Hill Farm Chevre (there it is again), Grilled Carrots, Squash, County Line Escarole with Corks Garden Arugula wrapped in a Spinach Flour tortilla. The dish was smoky vegetable deliciousness with truffle fries. Yummm (with 3 Ms)!!! Kelly sampled the Bodega Fish and Chips ($15.75). 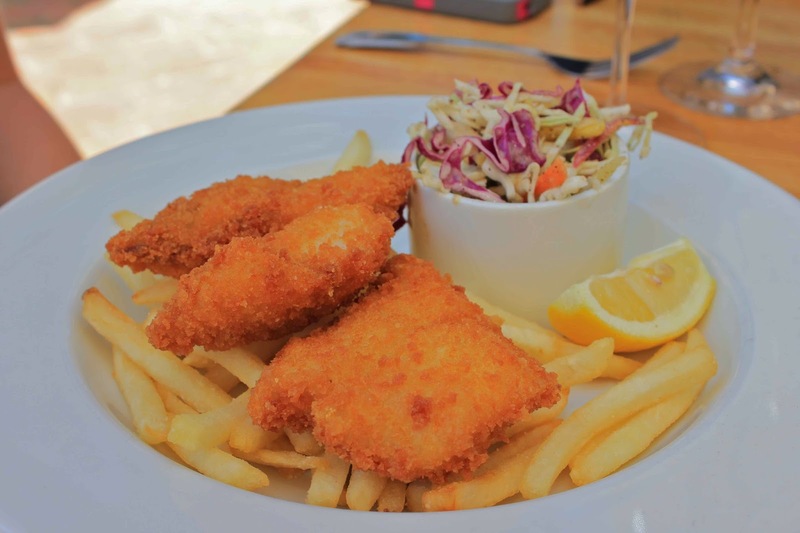 A “Not So Traditional Spin” with Locally Caught Cod, Panko Breaded, Jalapeno Remoulade and Corks Slaw, she said it was everything Fish and Chips aspires to be: light and crisp with nary an oiliness about it. Our amazing tour guide Mr. Raymond Rolander dined on the Ruben’s Reuben ($15). 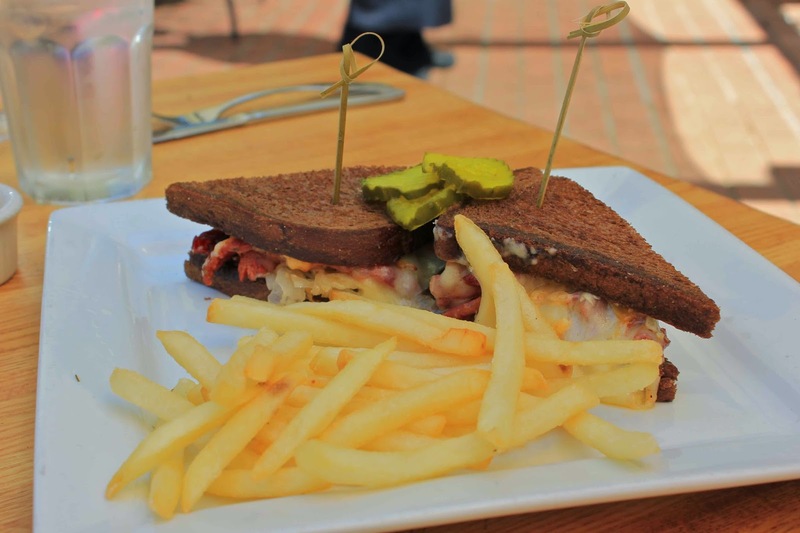 House Smoked Pastrami housed on Costeaux’s Dark Rye (Costeaux FrenchBakery is located in Healdsburg and is known for their legendary artisan breads), Havarti, and Gruyere Cheese, with Sauerkraut and Spicy Sriracha Thousand Island. Raymond and Kelly both agreed it the was the shining star of the lunch. An awesome thing about joining the Russian River Vineyards wine club is that members and their guest enjoy discounts of 20% on Corks Restaurant food and wine portion of their bill. 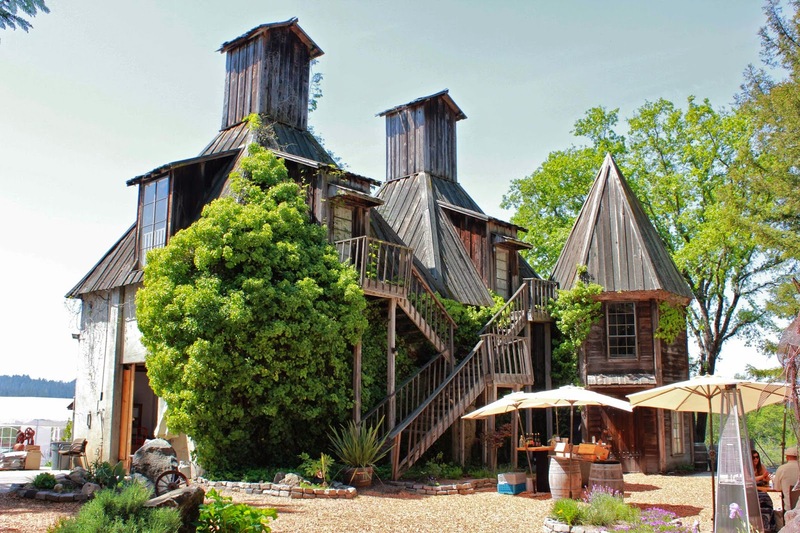 So along with the organic practices, the locally sourced menu, and the rustic ambiance there’s one more reason to drive down their winding path road and experience what Russian River Vineyards has to offer.